This is another shot from the photography workshop that I attended back in August. 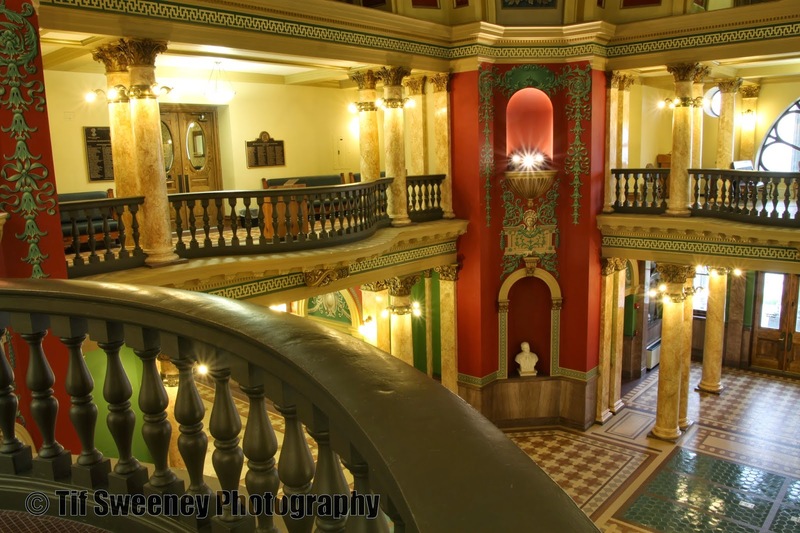 It was taken in the capital building in Helena, Montana, peering at the lobby from the second floor. For more Wordless Wednesday, check out the blog. Do you see those starbursts?!? What else catches your eye in this shot? Love it. I'm hunting for a new camera. I love photography but the indoor pictures come out horribly. This is beautiful and you're inspiring me to pick up a camera again (and expand my horizons beyond my adorable, nutty kids). Mom's Small Victories ... Thank you! Go pick up that camera and share some of your shots too! I want to see them!! writersideup.com ... Thank you so much! The building is really quite gorgeous. I just hope that I can capture a bit of it!